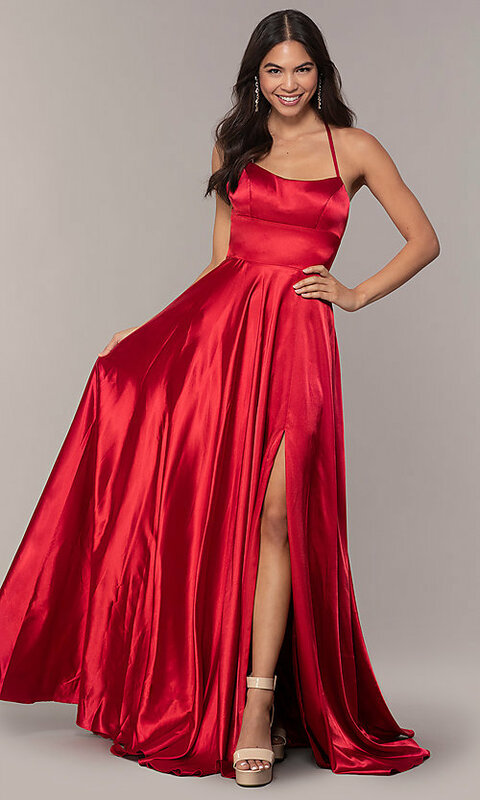 In luxe satin, this long prom dress by the designers at Faviana offers a lustrous look for prom 2019 or a pageant. The sleeveless formal dress features a square-neck backless bodice with a full waistband. Thin straps secure the bodice at the nape of the neck before lacing into a hot corset back. The corset ties into a dainty bow against the open-back of the gorgeous prom dress. The fabulous long skirt opens in a side slit with every step, and side pockets complete the selfie-ready satin prom dress by Faviana. The model wearing deep mauve is 5'7" and wearing 6" heels.